This article originally appeared in the Fairfax City, VA Patch. Each December, Fairfax County Department of Transportation recognizes notable companies for their efforts in addressing employee and workplace commuting challenges. This year, the Fairfax County Board of Supervisors recognized a record-setting 16 employers who have taken the initiative to qualify as a “Best Workplace for Commuters.” These employers are improving employee commutes, increasing productivity, contributing to a better quality of life, enhancing recruitment and retention efforts, and reducing environmental impact by taking concrete steps to reduce traffic. 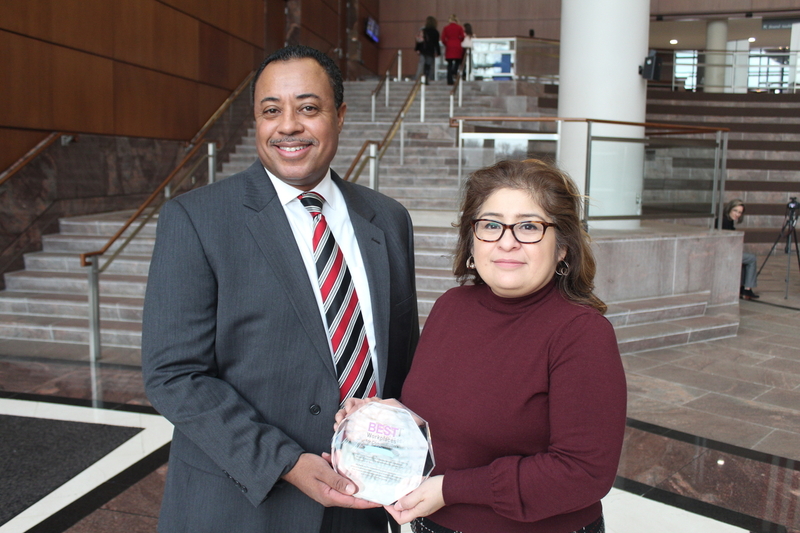 “We’re excited to recognize a record number of Fairfax County employers who in 2017 lead the region in providing outstanding commuter benefit programs to their employees,” said Walter Daniel, a senior transportation planner with Fairfax County Department of Transportation. In order to receive this designation, companies must meet national standards to qualify. These companies implement commuter programs to improve mobility by reducing the number of single-occupant vehicles on the roads. One of this year’s awardees, Farm Credit Administration, is an independent Federal agency that regulates and examines the banks, associations, and related entities of the Farm Credit System (FCS) and the first institution in Fairfax County to implement their own Bikeshare stall for their employees. Other employers have sustainable and flexible commuter programs such as ride-sharing, transit benefits, biking and walking resources, teleworking, alternate work schedules and other strategies.